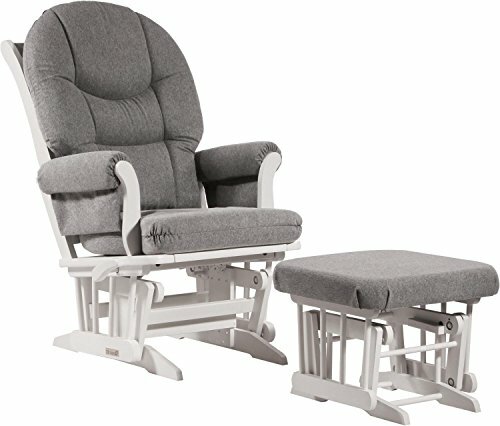 Ideal for nursing or simply relaxing, this Sleigh glider and nursing ottoman combo offers an exceptionally smooth and extra long glide motion with thick cushions and padded arms that will add class and elegance to your decor. The mechanism locks the glider in 6 different positions and makes it easier to sit in or step out of the glider. In addition, it features a reclining mechanism to maximize your comfort. Use the retractable footrest of the nursing ottoman for an optimal nursing position. There are no sharp edges, the finish is toxic free and this product meets all safety standards. If you have any questions about this product by Dutailier, contact us by completing and submitting the form below. If you are looking for a specif part number, please include it with your message. Indian Floor Pouf Ottoman Cover pouffe pouffes Foot Stool Peacock Mandala Round By "Handicraft-Palace"